According to the belief of some Jews, the Messiah will arrive through the Golden Gate of the old city walls (located on the far right in this photo, almost obscured by the foreground trees) and this Jewish cemetery is right in His path. Some Christians believe that the Messiah will return through this gate. It is said that the Golden Gate will never be opened by humans. Because of its location, each burial plot is extremely expensive. 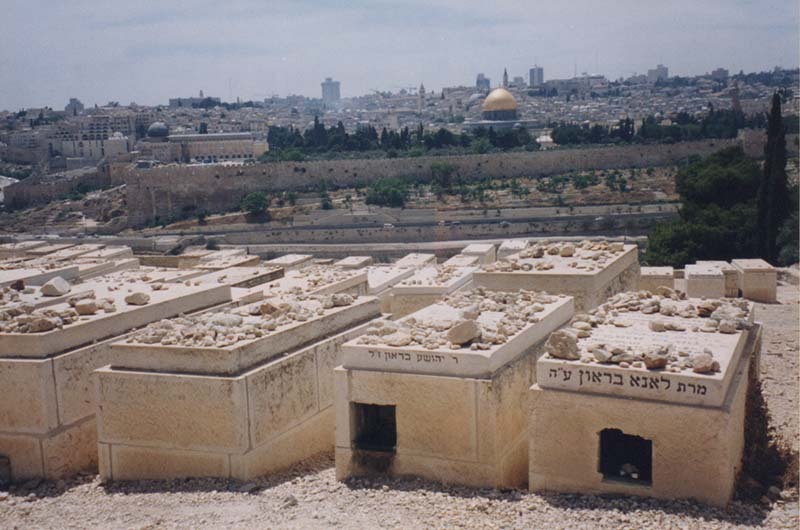 The people think that if they’re buried here, they will be the first to go up to heaven with the Messiah. These cement boxes are not coffins; the bodies are buried underground. The boxes are the equivalent of our tombstones, and the rocks on top of them are signs of respect, like the flowers we use, but flowers would not last long in this dry, windy, hot place. Inside the square holes, small candles are sometimes burned. We pass by this cemetery on the way down the Mount of Olives. 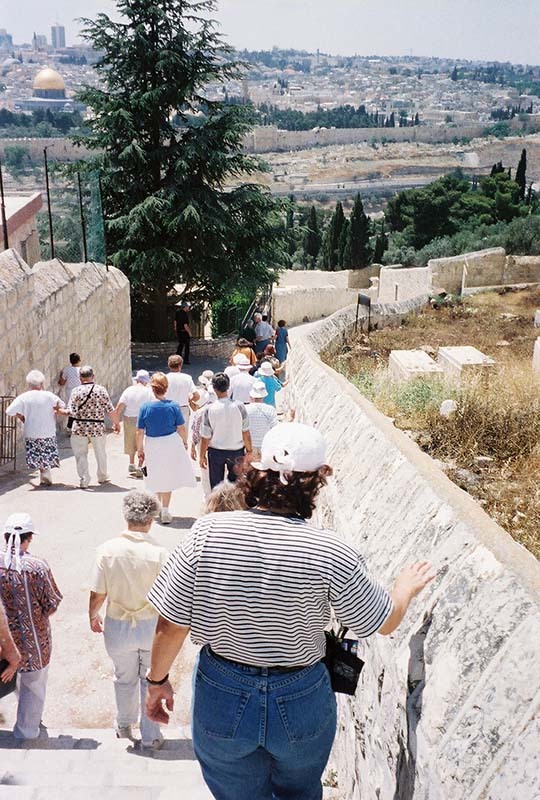 This path is called “Palm Sunday Way.” It’s the path Jesus took into Jerusalem for both His triumphant entrance into the holy city and, a few days later, His final entrance that began His Passion experience.